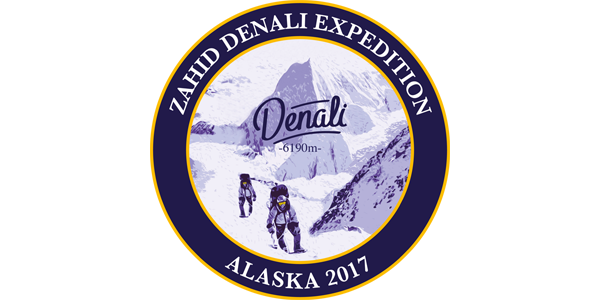 Climbing Denali is a serious undertaking! Not only does being fit make the experience a lot more enjoyable, it is practically a prerequisite for expedition mountaineering and can make or break the climb. Besides spending long hours travelling the glacier and gaining altitude while carrying a heavy pack and pulling a sled, it is hard work setting up camp, shoveling tent platforms, and building snow walls. The program Haytham and Mohammed followed is based on the concept of progression, which means increasing the length and also intensity for their workouts gradually and systematically to adapt their body to higher and higher effort levels, preparing them for 8 to 10-hour days on the mountain. To achieve this aptation, both specific (simulating the climbing on Denali) and non-specific (general endurance work-outs such as running, biking, climbing stairs) training methods are used. A typical weekend for the boys: 4 hours on a machine such as this, attached to a 10Kg weight machine by rope, to simulate the sled they will be pulling, carrying a pack weighing 25Kg, wearing anklets weighing 2.5Kg each, and a breathing restrictor to simulate high altitude. Sheer determination and discipline was required I vouch you had both. مزيدا من الجهد في التدريب يوفر الكثير من الجهد في العمل @ وفقكم الله وسدد خطاكم @ لا تنسوا رفع علم الزاهد وعلم السعودية فوق القمة. You will make it.. Stay strong ..